What are the Advantages to Many Small Victories? Sometimes a weakness can come in the form of just wanting or trying to do too much. Our community organizers have found that to be one of the biggest challenges they face in the field. Communities want so badly to come together and tackle ALL of their issues at one time. Unfortunately that is just not possible and can even become a road block in addressing one issue. How can we show people that advantages of choosing one issue and creating small wins? One of the youth leaders speaking to the children at the Tusemezane event. 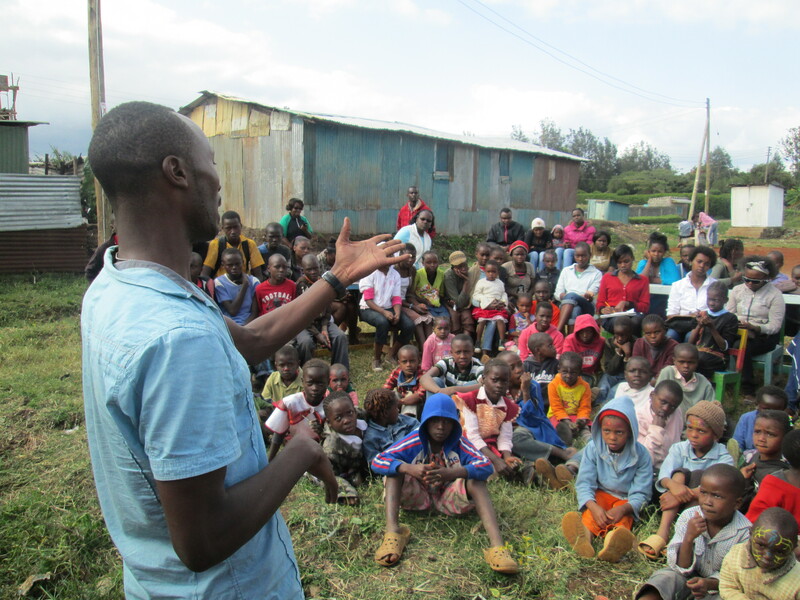 Youth in Action is a youth led organization working in Ngong and beyond to encourage the spirit of volunteerism. They mobilize youth to sign on with them and together they volunteer their services, time, and other resources to the community or community based organizations. Last Saturday I attended one of their events at Tusemezane. Tusemezane is a community based organization that provides a feeding program for children living in Mathare Slum. Together with the children served by the institution, we cleaned and beautified the grounds. I spent my morning at St. Christopher’s Episcopal Church in Chatham, MA. It’s my third visit with this church and I have to say, they’re wonderful. Each time I go I stay with two members, Jean and Paul, and I’m beginning to feel like their daughter. I’m comfortable enough to open their fridge and dig for food late at night and to share about the ups and downs of my personal life. These sweet relationships, in which people support Tatua by opening up their hearts and homes are one of the most precious parts of being a missionary. I am able to see people love so fully and I am cared for in ways that remind me how much good is in this world. This same love radiated through the church this morning as I shared about the work of Tatua. The sermon texts were focused on grace and the power it has in our lives. I took the opportunity to share about how when we face uncertainty we have an option to either try and take control or to rest in grace, the truth that we are held by something greater than us. I went on to describe how choosing the latter has transformed me and built Tatua up in ways I could never have imagined. 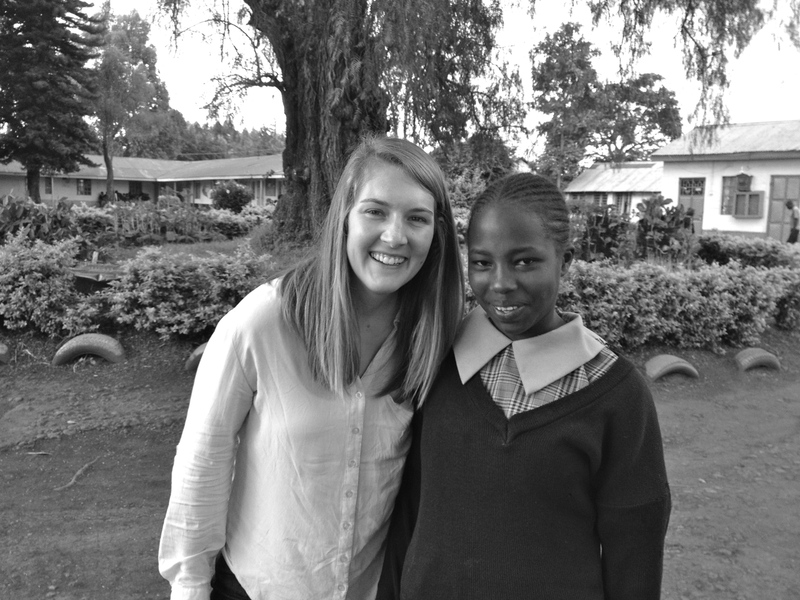 I am blown away by what is happening in Kenya and I am so thankful to be apart of Tatua. Imagine for a minute that you are 14 years old. You live with your mom and step father in a poor community in Kenya. Your step father is a drunk and and at night when he returns home he takes his drunken rage out on you. Because of this you decide that it is not safe for you to be at home so you start sleeping out in the forrest or you find friends you can stay with. This angers your step father more, which in turn angers your mother. They decide they no longer want to deal with you so they take you to court and wrongfully accuse you of stealing money and being disobedient. It is your word against 2 adults. The court system finds you guilty as a minor and ships you off to a remand center for a sentence of 2 years. The intent is that YOU will be rehabilitated from behaviors that you did not exhibit to start with, while your mother and step father continue living just as they were. Now your 2 years is over and you are sent home. Here’s the kicker- you get home to find everyone in your family gone with no explanation. Eventually you get a hold of an uncle who is now taking care of you little brother and sister, but will not take you in. He will give you no information about your parents. You have no idea whether they are dead or alive. You are now 16. What do you do? The government has no luck tracking down your family so you are just sent back to the remand center for an unknown amount of time feeling hopeless, unwanted, unloved, bitter and lost. Meet Mary Wangui. That is her story. Mary is one of many, many children that have ended up on the streets living in poverty due to circumstances outside her control. The Be The Change projects in Rongai, Nkoroi, Ngong, and Dagoretti are working to get children back into school by working with the parents and with all of the stakeholders in the communities. You can support the project in Ngong by clicking here and donating on Global Giving.